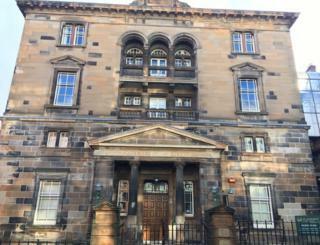 Five more men have claimed they were abused by a priest at a private school in Glasgow. Their lawyer said they were seeking recognition and compensation for alleged physical and sexual abuse at St Aloysius College in the 1960s and 80s. Last week another man made claims against two Jesuit priests, which were previously investigated by police. The school said it has robust safeguarding procedures in place to protect pupils. It also expressed “deep sadness” for all victims of abuse and said it would offer full co-operation with any inquiries. St Alyosius is a long-established private school in central Glasgow teaching boys and girls from nursery through to secondary level. Patrick McGuire, a partner with Thompsons Solictors, said: ”The impact of historic abuse on all survivors is absolutely profound. Last week Police Scotland said a complaint was investigated in 2017 but the priests accused had died and there was insufficient evidence to report the matter to the procurator fiscal service.